GiGi has finally hit that six month stage where she starts to enjoy the wonderful world of solid food! It’s not about perfection. Making your baby food at home allows you to see the food that your baby is consuming. I know how the food was prepared. I know that there are no additives. I know the quality of the produce. I know that it’s the same food my husband and I are consuming. When our CSA is up and running again, I will know the ground that my baby’s food came from and exactly how fresh it is. I don’t have to buy food in hundreds of tiny containers that need to be disposed of. If it’s quick, easy and better for your family, why wouldn’t you? Try it! Cut up your fruits and vegetables into small pieces. Steam your produce. 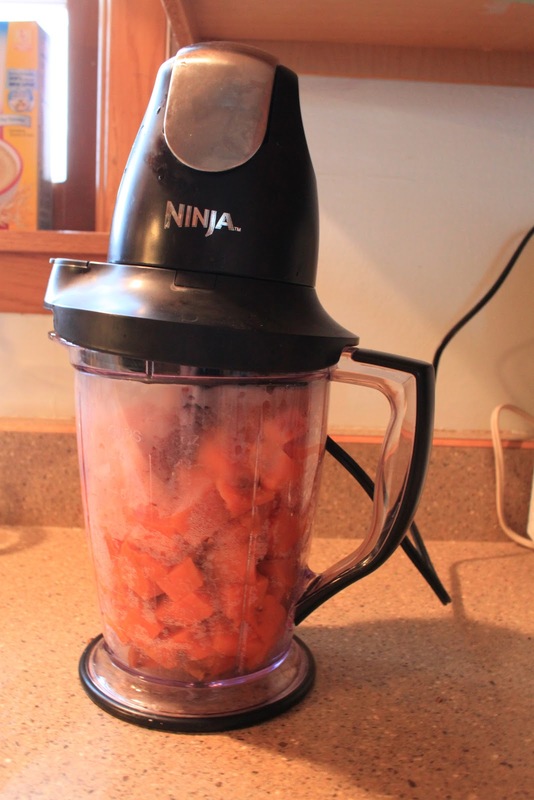 Vegetables will need to be soft, of course, to puree. I steam fruits for a few minutes to soften but also to eliminate anything that they may have picked up between being picked and being fed to my baby. 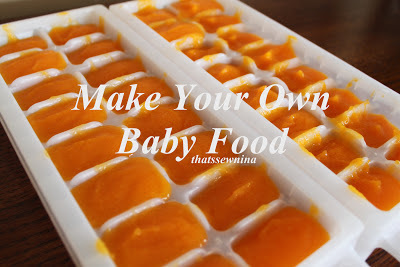 Put about a tablespoon of the puree into ice cube trays for easy freezing. That’s it! When I see produce on sale or am making something for dinner, I just make a little extra to blend up for GiGi and pop it in the freezer. One of my very FAVORITE mom resources is an awesome website Momtastic. They do such a great job of laying out all the nutritional benefits of foods for your baby and a timeline of when to introduce them to your tiny tummy. Timeclock: This process took me less than an hour to do two three trays of butternut squash (which I bought cut and cubed at Costco) and three trays of fresh pears (which I cut up myself). out in the morning and in the fridge for dinner. I packaged in a set of 10.
where stopping to take a picture is unacceptable. very nice post, i like baby food food.